Happy Monday morning to you! Well, when I say “happy”… I’ve actually got my sympathetic face on. You see, when I wake up in the morning, I’m blessed with more time to get ready than most – thems the benefits of working from home. It’s not as luxurious as it sounds, half the time it just means that I end the day looking the same as I did when I rolled out of bed that morning. None of you glamourous lot would ever dream of being so slattern would you? Well in that case, keep reading because I have an early-morning hair saviour up for grabs that might just encourage you to change your ways. The ghd Gloss IV Styler not only promises your hair the glossy finish it’s been craving but creates its own style tribe with a high-shine, patent finish in addition to all the usual features you’d expect from the best-selling brand. When you’re as bleary-eyed as a panda, you’ll be grateful for the long, swivel cord that won’t leave you contorting your upper torso into impossible angles and the safety-conscious sleep mode will ensure that the only burnt aromas you’ll return home to are from the remains of your morning toast. 1. Entry open to UK residents only. 2. 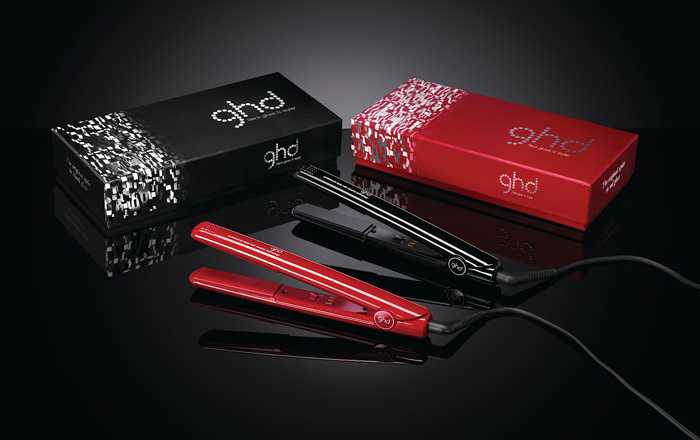 One winner will be picked at random from ALL entrants and this winner will receive a limited edition ghd Gloss IV Styler. 3. Email details are only required to enter the competition, no details will be kept once this competition is closed and personal information will only be used to contact the winner. 4. Competition closes on 16th July 2012. 5. Winner will be notified within 5 days of the competition’s closing date. 6. Lipglossiping.com is the sole promoter of this competition. thank you for this giveaway. I iron my hair pretty much every second day so this would be so useful! Great giveaway! I love GHD! Been entering EVERY contest that I can find for this incredible GHD Gloss 4 Styler. Keeping fingers crossed for luck for this one. However, I wish everyone the best of luck and will be very happy for whoever wins this extraordinary prize.Thank you for offering your fans another fabulous giveaway! Oskia Signature Glow Facials: 12th-15th June at Liberty!